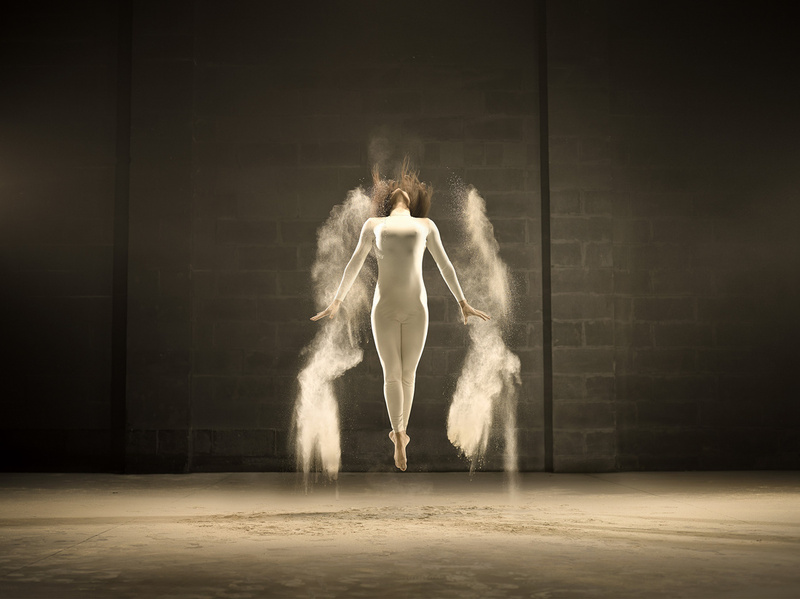 Brussels-based photographer Jeffrey Vanhoutte freezes extraordinary instants in time in these expressive shots of an acrobatic dancer leaping and twirling amid dynamic clouds of powder. 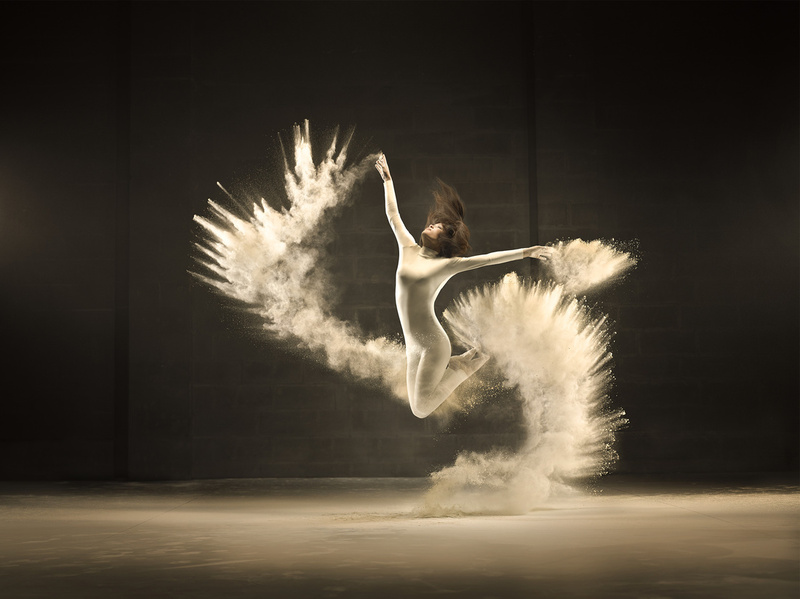 The Belgian photographer captured these spontaneous shots for the creative agency Norvell Jefferson in order to market Netherlands-based powdered milk producer Friesland Campina Kievit’s new creamers. “Friesland Campina Kievit’s new sensational creamers are about to take over the world. To do so, a fully integrated marketing campaign was created by Norvell Jefferson. From a creative brainstorm, to a 2-day film and photoshoot, to wide variety of communication assets, Norvell Jefferson was responsible for concept, design and development. 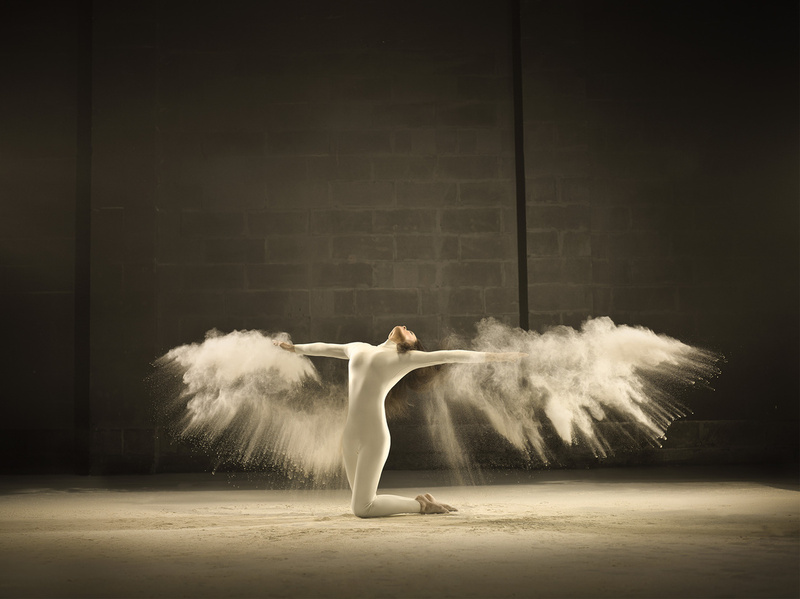 The sensory explosion of Friesland Campina Kievit’s Creamers is featured throughout the campaign, leaving a worldwide impression.” Individual particles of powder form incredible shapes around the dancer’s body as she pulls off impressive feats of balance and nimbleness. Suspended in midair, frozen in motion, the model appears as graceful and elegant as a bird spreading its wings and taking flight.